The balanced scorecard, a comprehensive set of mainly qualitative performance measures designed to assist managers in implementing competitive strategies and monitoring performance with respect to them. Strategic variance/profitability analysis. Systems which break down the measures of budgeted versus actual net income into variances which managers can relate logically to a firm’s or strategic business unit’s (SBU’s) mission and business strategy and therefore use to evaluate quantitative performance from a strategic perspective. Profit-linked performance measurement systems, models which decompose measures of changes in profitability over time into measures of changes in constructs such as productivity and price recovery, which can be logically linked to a firm’s or SBU’s mission and business strategy and analysed from those perspectives. Performance management as ‘a process which contributes to the effective management of individuals and teams in order to achieve high levels of organisational performance. As such, it establishes shared understanding about what is to be achieved and an approach to leading and developing people which will ensure that it is achieved. Beliefs systems used to inspire and direct the search for new opportunities. Boundary systems used to set limits on opportunity-seeking behaviour. Diagnostic control systems used to motivate, monitor and reward achievement of specified goals. Interactive control systems used to stimulate search and learning, allowing new strategies to emerge as participants throughout the organisation to respond to perceived opportunities and threats. As a fourth lever of control, these systems focus attention on strategic uncertainties and enable strategic renewal. If management accounting information systems are to be useful for strategic purposes, that is, to help managers increase the likelihood that they can achieve their strategic goals and objectives, their designs and use must follow from firms’ missions and competitive strategies. Accounting information systems provide a strategic structure for financial processes. In Porter’s framework, strategy should follow from an analysis of the determinants of the nature and intensity of competition: the firm’s bargaining over its consumers and suppliers, threats from new entrants and substitute products (barriers to entry and exit), and the intensity of rivalry in product markets. Be differentiated from competitors’ strategies, through unique product variety, ability to satisfy customer needs, and/or access to particular customer segments. Employ chains of complementary value added activities which are difficult for competitors to replicate. Determine the firm’s critical success factors, such as delivering superior product and service quality and achieving high price recovery for pursuing differentiation strategies. This could well include achieving economies of scale, improving productivity and delivering threshold product and service quality at low prices for pursuing low cost leadership strategies. 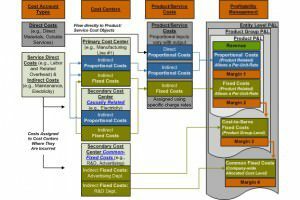 Carefully evaluating choices regarding the design of products and configuration of operations which drive costs and revenues. For a set of performance measures to exhibit content validity in a strategic context, then, it must measure constructs related to the mission and strategic accounting framework, the selected strategies, the firm’s critical success factors, and operating choice variables. 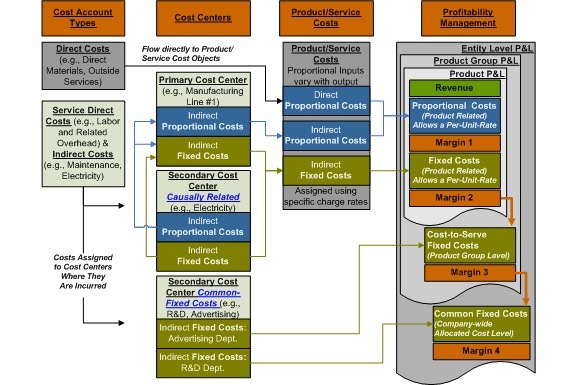 Performance measurement systems should, to a great extent, be based on profit-generating processes. When managers take actions the models should assist to improve performance along one or more dimensions, so intended benefits are likely to materialize. Thus, the models should incorporate current as well as future relationships and linkages, capturing cause and effect between activities, as well as performance throughout the firm both horizontally and vertically across the entire value chain. Finally, the measures should also have ‘good’ theoretical and empirical measurement properties.